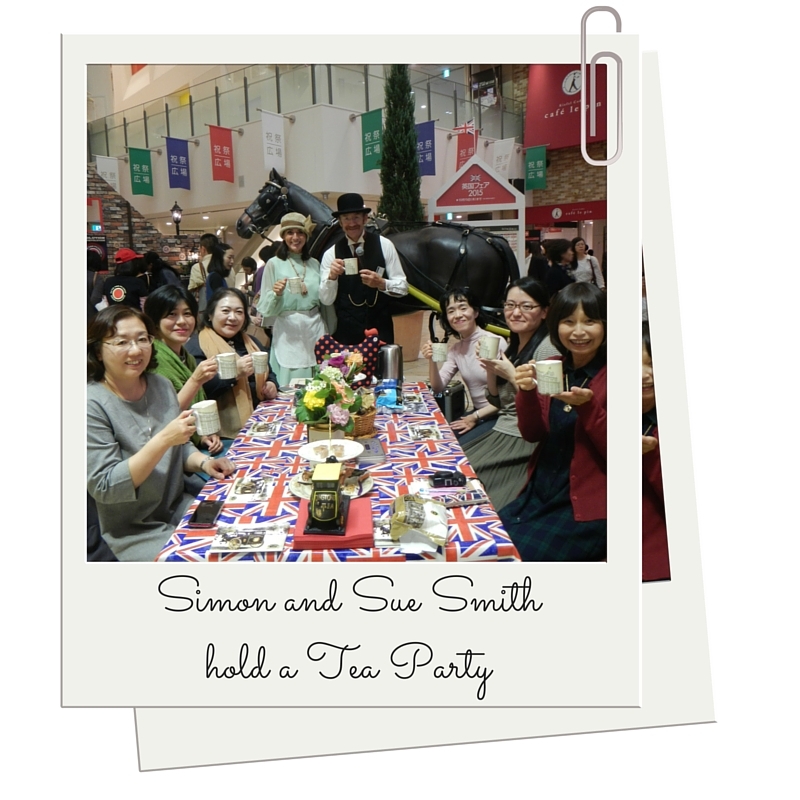 Now that we’ve unpacked our bags, caught up on sleep and scoured through the hundreds of photos taken, we thought it was the perfect time to sit back with a cup of tea and tell you all about our fantastic trip to Osaka in Japan where we were recently invited to take part in a huge British Fair. 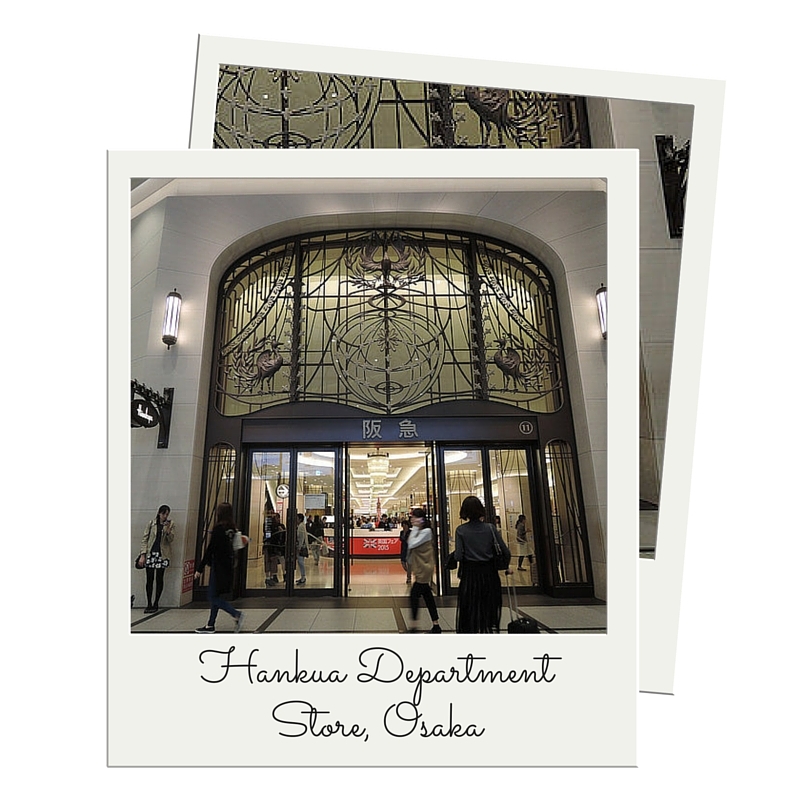 The week-long fair took place on the 9th floor of the famous Hankua Department Store in Osaka – a striking, modern building in the heart of the dynamic city centre, with thousands of eager shoppers enjoying the British-themed displays, talks, shopping, food and drink on offer. 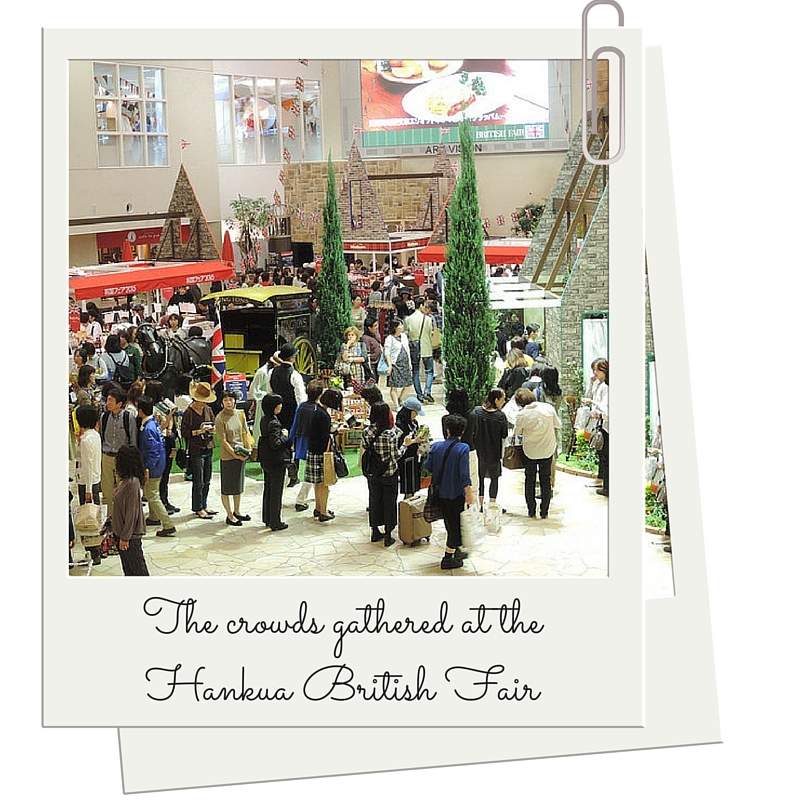 We were just one of a handful of companies selected to take part in the show, and were in fine company alongside some sterling British names including Walkers, The Bridge Tea Rooms, Lilliput Lane, Mrs Bridges, Burleigh Pottery and even the UK’s best chippy – Frankie’s Fish and Chips – who travelled all the way from the Shetland Islands to exhibit! 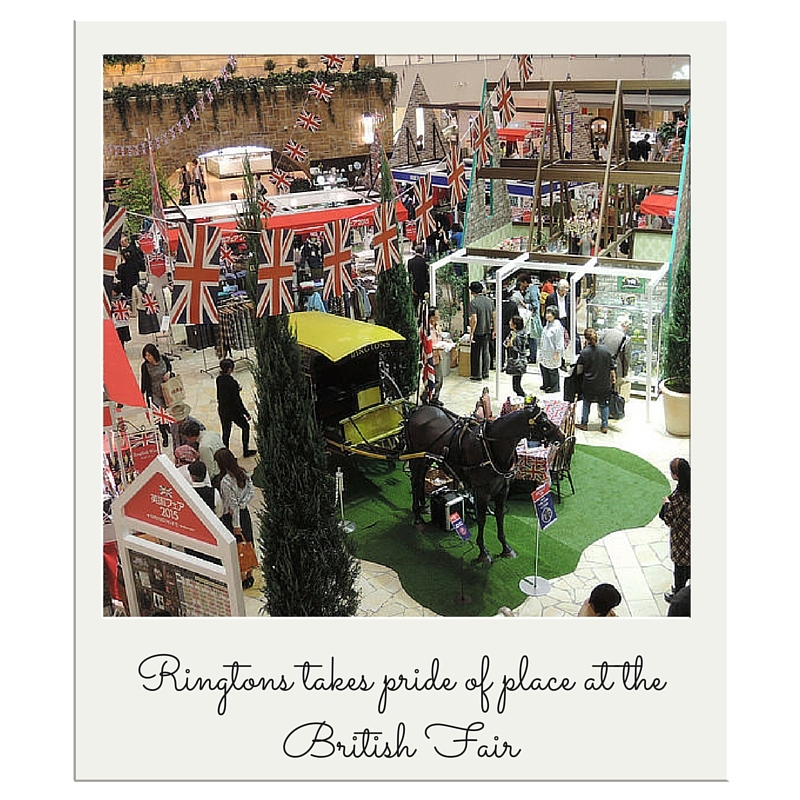 Taking centre stage at the event was a real Ringtons horsevan from the 1900s which even included its very own replica horse – to find out more about the six week epic trip taken byour original cart you can read our previous blog post here. 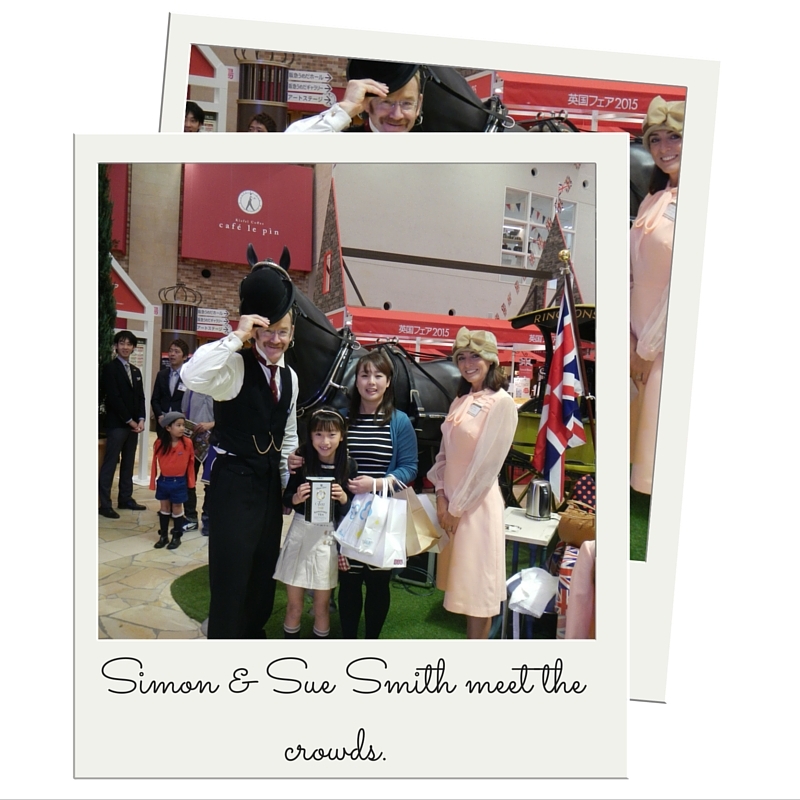 As well as displaying our horse and cart, our CEO and fourth generation of Ringtons’ founding Smith family, Simon Smith and his wife Sue gave demonstrations on how to make a proper British cup of tea. Using Ringtons’ finest bone china teapot and cups, Simon explained the importance of using freshly drawn water, profiled the delicate taste points of our famous Kenyan Gold tea and Extra Fresh teas introduced the concept of adding milk to the tea – a ritual almost unheard of in Japan where green tea dominates! 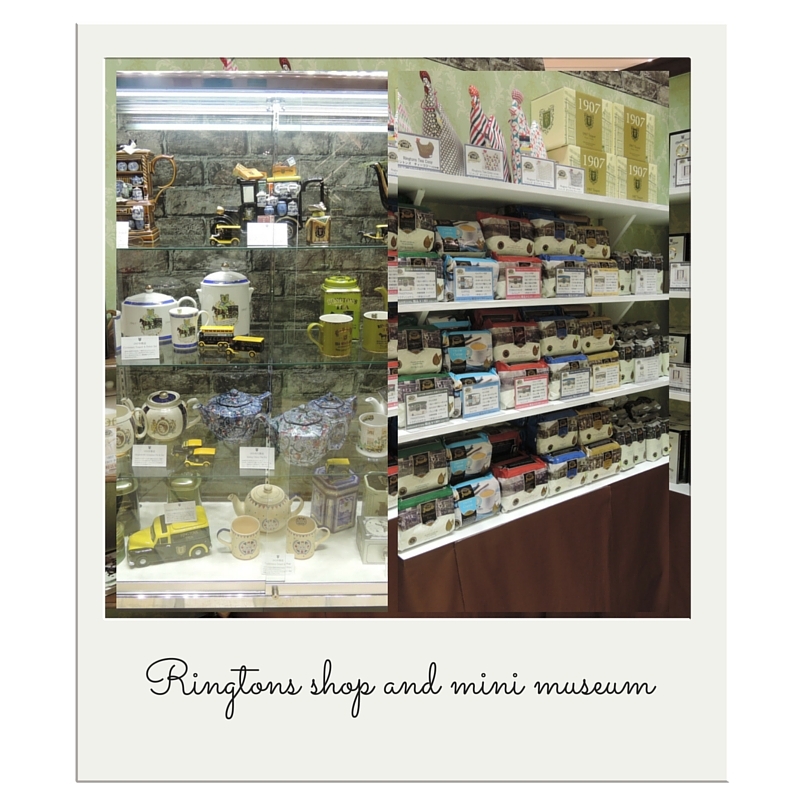 There was also a fantastic Ringtons mini museum and shop which displayed some of the company’s most iconic collectables and gave visitors the chance to snap up some Ringtons goodies. 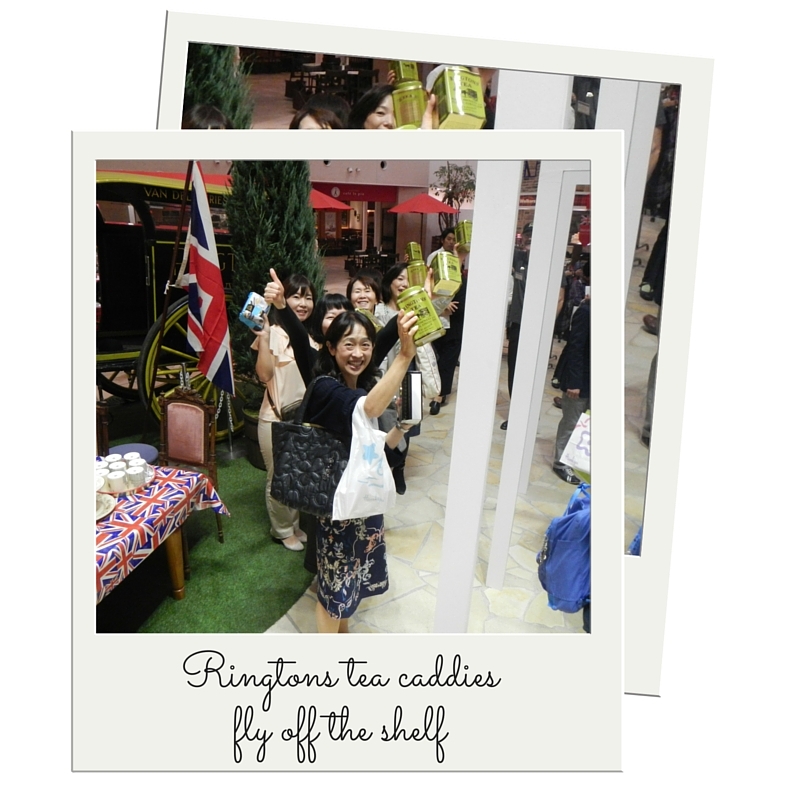 There was a queue at least 30 people deep at the Ringtons stand from the minute the doors opened, and we were overwhelmed at how quickly our tea and in particular, our caddies flew off the shelves. 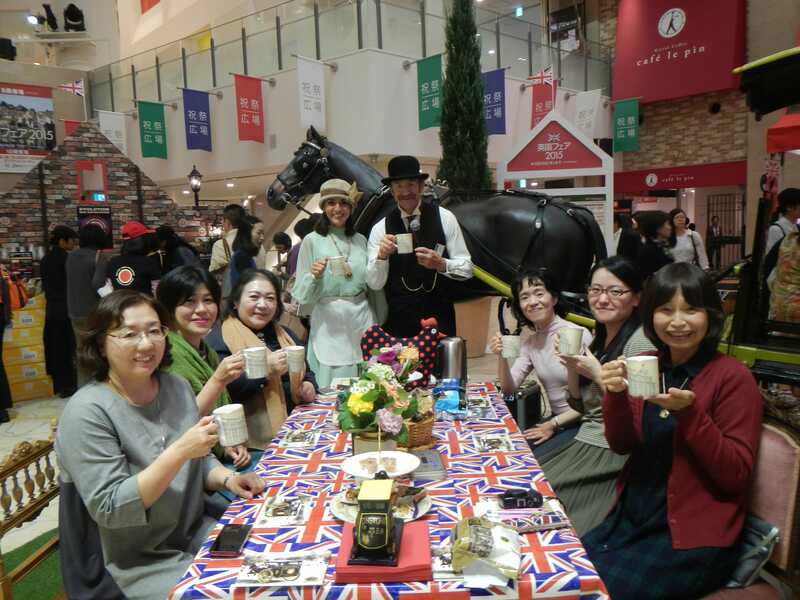 Donning traditional clothing from the 1900s to complete the look, Simon and his wife Sue were joined at the fair by our fantastic Japanese distributor Naoya Okada and his wife Nanae. 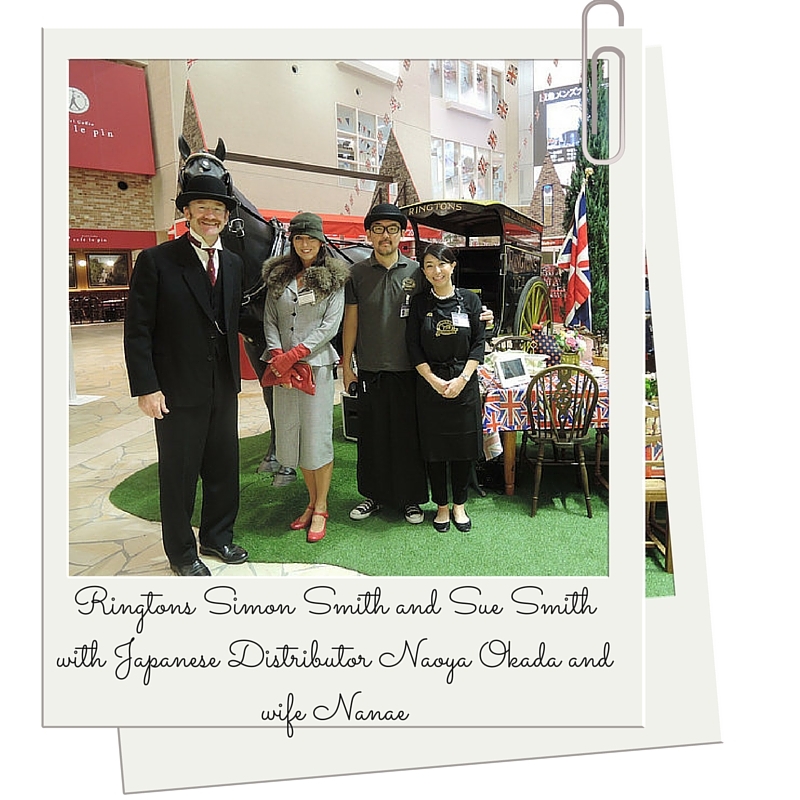 Naoya has been selling Ringtons tea since 2011 after he was given a cup by his British brother-in-law, and was so impressed by the flavour that he approached Ringtons about being a distributor in Japan. Naoya is so passionate about Ringtons he even spent a week in Ringtons’ home-city Newcastle upon Tyne finding out about our rich heritage and earning his stripes as ‘a van lad’ after joining a Ringtons salesperson on his rounds!